BEIJING (Reuters) – China’s parliament will vote in March on a new foreign investment law that will ban forced technology transfer and illegal government “interference” in foreign business practices, the official Xinhua News agency reported in Wednesday. The time-table suggests the law will probably be formally approved then by the largely rubber-stamp legislature, accelerating a process that usually would take a year or more as Beijing rushes to meet Washington’s demands in order to de-escalate their trade war. The full annual session of parliament, which opens on March 5, only tends to pass select landmark legislation, with other laws being passed by its standing committee. Parliament is unlikely to reject the law as its delegates are chosen for their loyalty to the ruling Communist Party and its agenda. The two sides will hold two days of talks in Washington starting on Wednesday in the highest-level discussions since U.S. President Donald Trump and Chinese President Xi Jinping agreed a 90-day truce in their trade war in December. 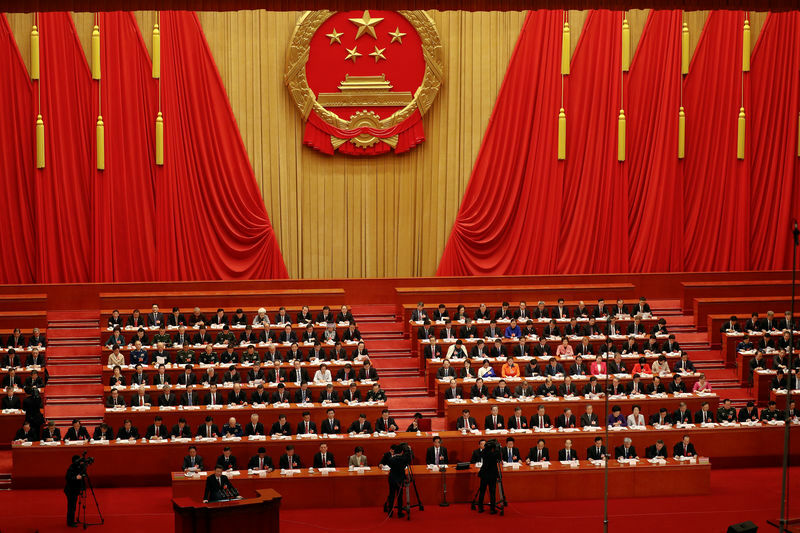 The decision to accelerate the legislative process came after the National People’s Congress (NPC) Standing Committee convened a special two-day session this week to conduct a second review of the draft. The first draft of the law was submitted to it on Dec. 23, with the draft made available to the public for comment until Feb. 24. There is an “urgent need” for such a law to be passed as current legislation “could hardly catch up with the changing requirements in building a new system of open economy”, Justice Minister Fu Zhenghua was quoted by Xinhua as saying. Once adopted, the law will replace three existing laws that regulate joint ventures and wholly foreign-owned enterprises. The latest draft of the law appeared largely in line with the first draft, which included 39 articles with a notably stronger line on IP protection, with definitions of the terms on “pre-establishment national treatment” and “the negative list” added to ensure clarity, Xinhua reported. The new draft also specified penalties on failure to report their investment information to related authorities. It is unclear if the second draft of the law would be made available to the public for comment, which could protract the process. Some law experts and business consultants have expressed scepticism about how far the legislation would protect foreign firms’ interests, given a general lack of rule of law in China. As of October, there were almost 950,000 foreign-funded companies registered in China, accounting for investments exceeding $2.1 trillion, according to Xinhua.